From 22nd – 25th April and 6th – 9th May, a student exchange programme between Danila Kumar in Ljubljana and Costeas-Geitona in Athens took place with the kind support of the Moro Foundation. The students stayed with their host families and the programme included whole-day programmes, which combined workshops and excursions in Slovenia and Greece, and allowed the students to promote themselves, as well as become familiar with a foreign culture, language, school system, lifestyle and habits. The time simply flew by and both students and teachers are very satisfied with the exchange, since the programme was extremely rich in content and very well organised. This invaluable experience offered all the participants great opportunities to find out more about a foreign country. 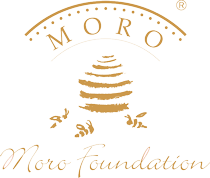 We would like to thank the Moro Foundation once again for all their trust, help and support in bringing this project to life.